If you are visiting the world’s leading learning technology event (21st-24th January), come and visit Create where you will be the first to hear about our new, exciting ‘Closing the Gap’ programme, ‘exceed’. ‘exceed’ is a comprehensive training programme which will transform the teaching habits of your staff and the learning behaviours of your disadvantaged pupils with market leading tools to evidence progress. The programme supports schools in closing the attainment gap and enables your most vulnerable pupils to exceed expectations. personalise your approach and inform your planning and make focused interventions. shift focus towards the individual, increase their control, empower and value them as a person. Focus your valuable resources and energy on what is most important to the child and evidence the difference your Pupil Premium investment is making. 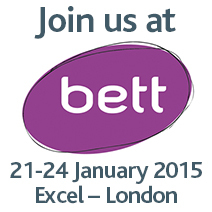 To register as a visitor to the Bett Show click here. To arrange a formal meeting at the Bett Show to chat with us, contact Katie Robinson on 020 8863 0304 or at exceed@createdevelopment.co.uk to book a time which suits you. Create’s Managing Director, Ronnie Heath will also be a key speaker at the show. His short presentation and discussion: “Creating the secure personalised bridge for learners to close the gap” will discuss how the CD Wheel has supported teachers to develop essential habits that have transformed learning behaviours. Click here to find out more.